Control the bot from PC, Mac, iPad, Android! No PayPal, credit card or newsletter subscription is required! Hurry up, number of places is limited! Registration is free and easy. No need for PayPal account. Just enter your email and we will send you a password. 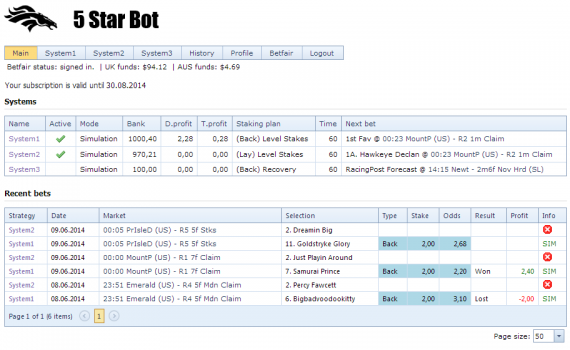 5 Star Bot is a web based automated betting software for Betfair. 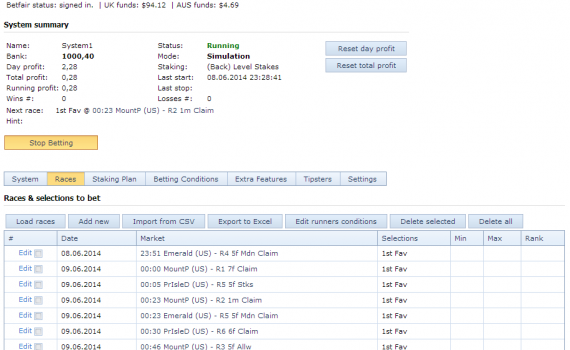 It is the ultimate solution for your betting strategies that saves time and efforts, protects from mistakes and gives you the edge over other punters. Run up to 3 strategies at the same time. 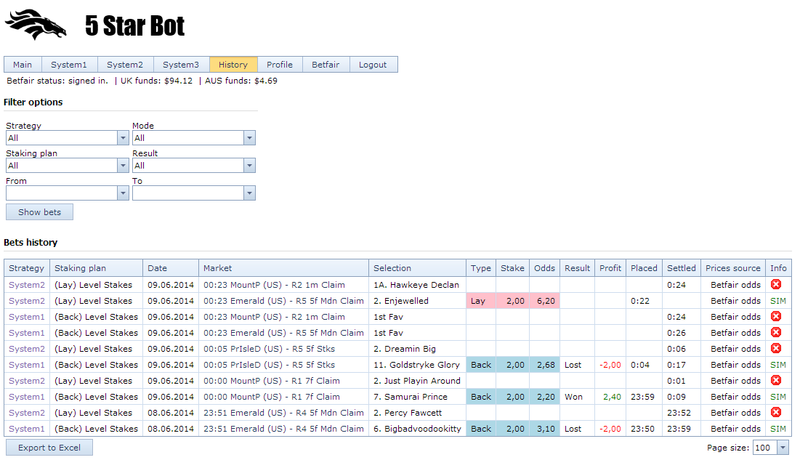 Each strategy has own betting conditions, selections and options. On request we can allow more strategies per account. The bot works 24 hours, 7 days a week. You can access it anytime from any web browser, even when you are away from home. 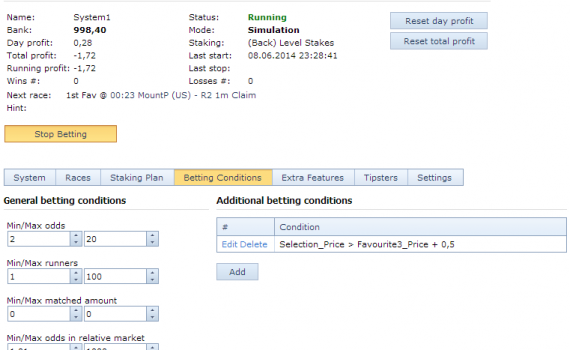 Different market types, advanced betting conditions, BSP, stop loss, staking plans, virtual mode and more. 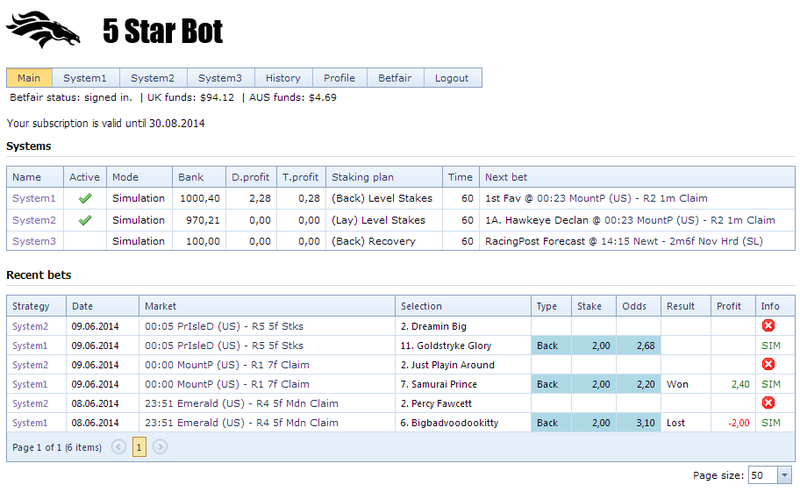 Power your betting with auto bot! We invite you to join our free trial. You will be granted full access to all features for period of 7 days. 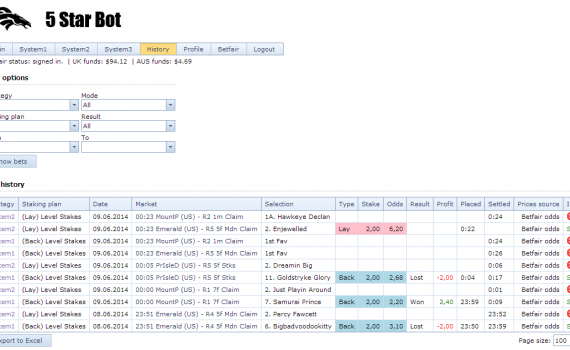 You will be surprised how convenient our Betfair bot is compared to manual betting. 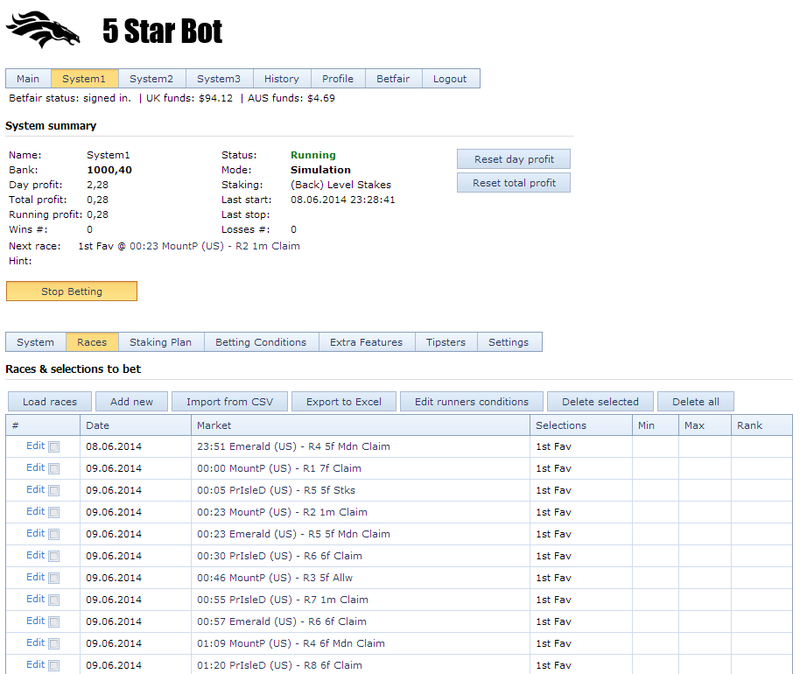 Currently number of auto betting bot accounts is limited to 50, so hurry up and register today!